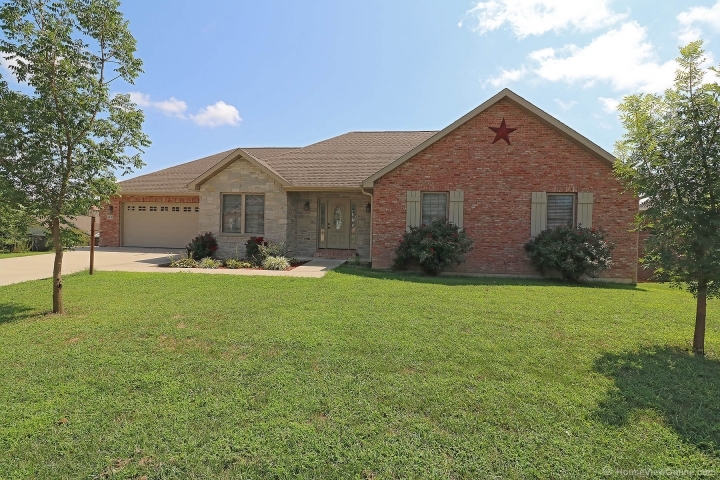 This custom all brick and stone ranch sitting on a corner lot nestled in the Pioneer Orchard neighborhood will grab your attention. Wood and ceramic throughout the main level. Granite and a gas range and Carriage House cabinets make cooking a joy. Separate dining room and storage cubbies for all the kids' school stuff. Relax on the covered deck. But wait till you go downstairs. 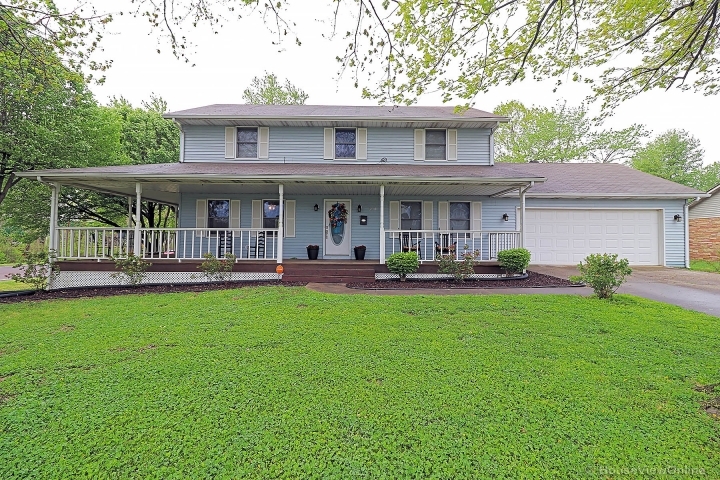 It is another whole house...bedroom, bath, family room, full kitchen, laundry, craft room or office, and an all concrete tornado safe garage with a driveway. Almost 4,000 sq ft of perfection.